This luxurious handmade keyring is made from two leather types. One side is made from the finest full grain real brown leather, while another is finished with orange suede, resembling an excellent example of red Basenji. Our own unique design not available anywhere else. Key ring has chrome chain with stainless steel split ring that can be used not only for holding your keys, but as a bag charm to decorate your handbag or mobile telephone accessory for all lovers of this magnificent breed. This key ring chain fob would also make a great Christmas gift or a small beautiful gift for any occasion which will be used daily and treasured for years to come. Special gift to give or keep. This red and brown Basenji key ring fob measures 6 x 8 cm approximately. 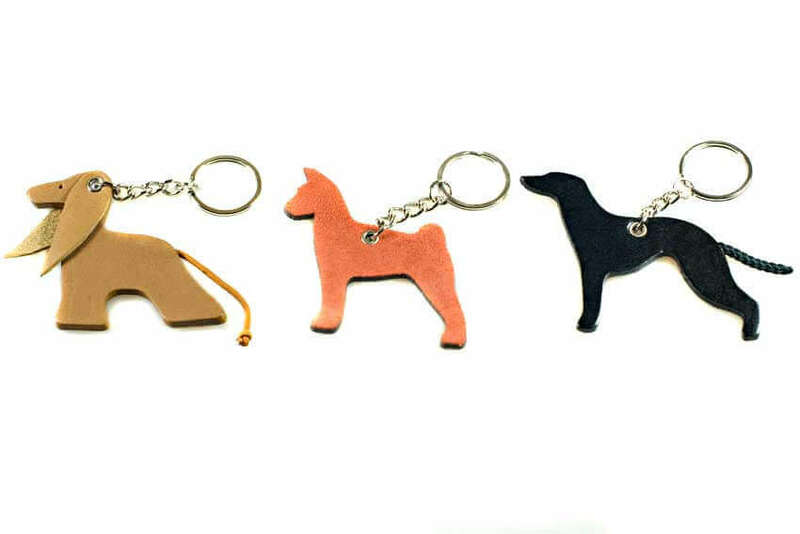 We exclusively designed and handmade other dog breed leather key rings chain fobs. 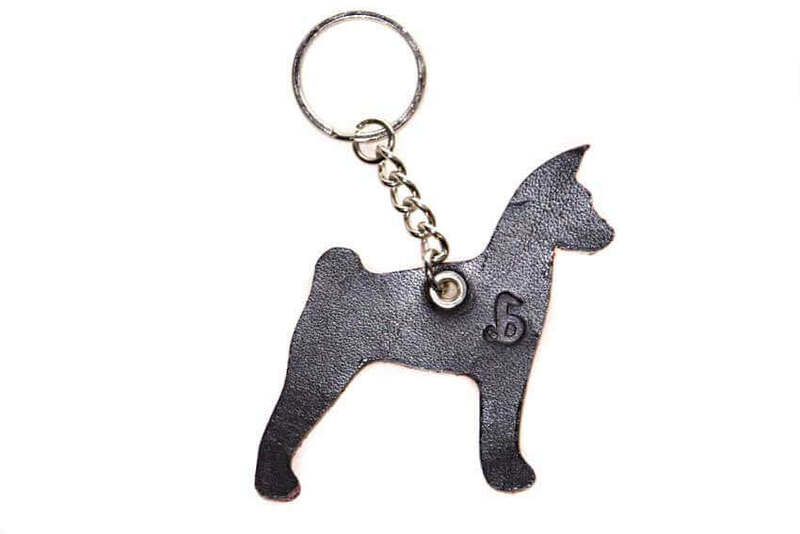 Choose from Whippet, Greyhound, Afghan hound and Cute dog key ring fob chains / charms. 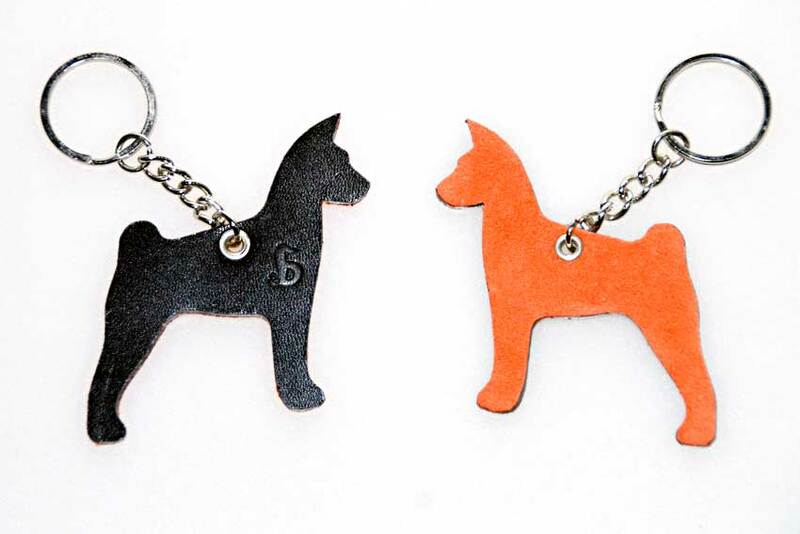 Each Dog Moda keyring is hand finished and, just like real dogs, comes in several colour combinations. 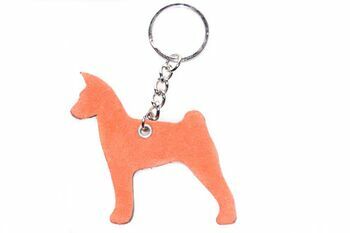 Please browse our shop to see the whole range of key rings, fobs and bag charms.